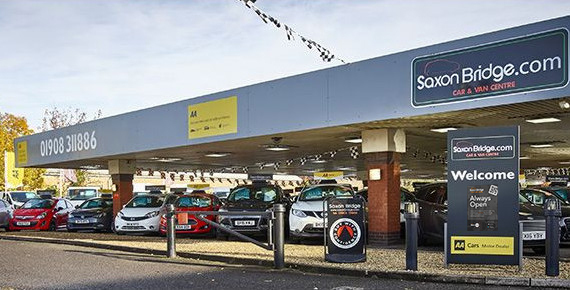 Milton Keynes based car superstore, Saxon Bridge, is looking to local technology to provide an even friendlier customer experience on it’s car sales forecourt from this May. As a family run business Saxon Bridge prides itself on its personal service and understanding it’s customers. Their friendly staff know that although it’s customers may have questions or need help and advice, they may also want to take their time and have a good look around at their leisure. 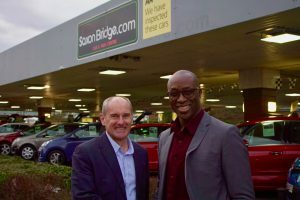 To give it’s customer another option when they are at the showroom Saxon Bridge has teamed up with local business Buzz2Get and is launching it’s unique service this May at their Wolverton branch. As a customer, by using your smartphone and scanning a code on a car you like the look of, you are taken instantly to that car on the website without having to search for it online or head back to the showroom, you can then read the independent AA report, work out costs or read and save the full details for later. Then when you are ready, at the push of a button, you can request the keys, ask for further help or book a test drive for now or later on. “We are not implementing technology just for the sake of it, we genuinely believe in a relaxed car buying experience, coupled with good old fashioned one to one service. 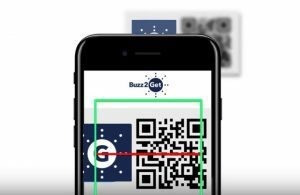 What Buzz2Get allows us to do is to give our customers the space and time to look around whilst also being on hand when they need us”. This is also going to be invaluable for both customers and staff at our new Mount Farm site, which launches in May, as there will be at least 500 cars available at any one time and being spread over 4 acres we don’t want customers to have to walk back to the showroom just to ask for help. It’s so big, we are even considering using golf buggies to take customers backwards and forwards”. You may also want to read about: Buzz2Get partners with Briteyellow Ltd to make car buying easier.